This quilt was designed with texture and color in mind. 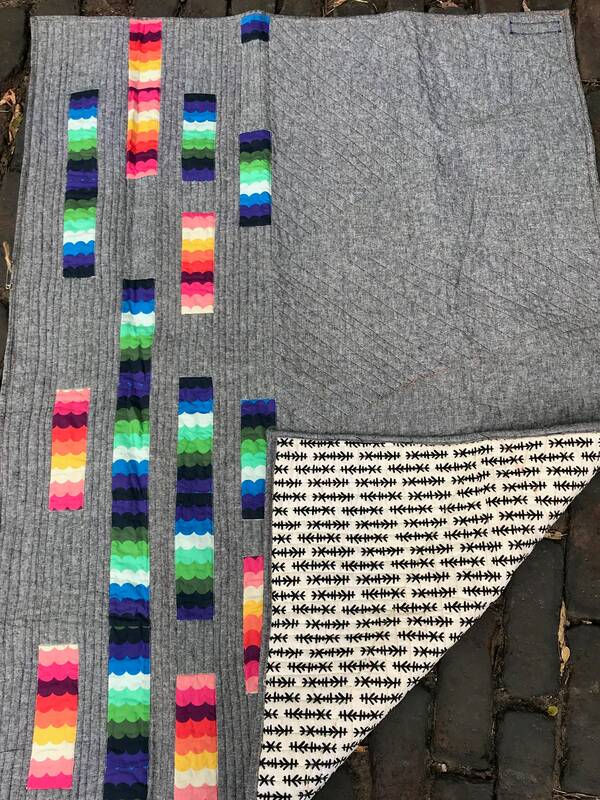 The quilt consists of a soft cotton/linen blend in gray heather, with strips of rainbow scallops randomly pieced in. 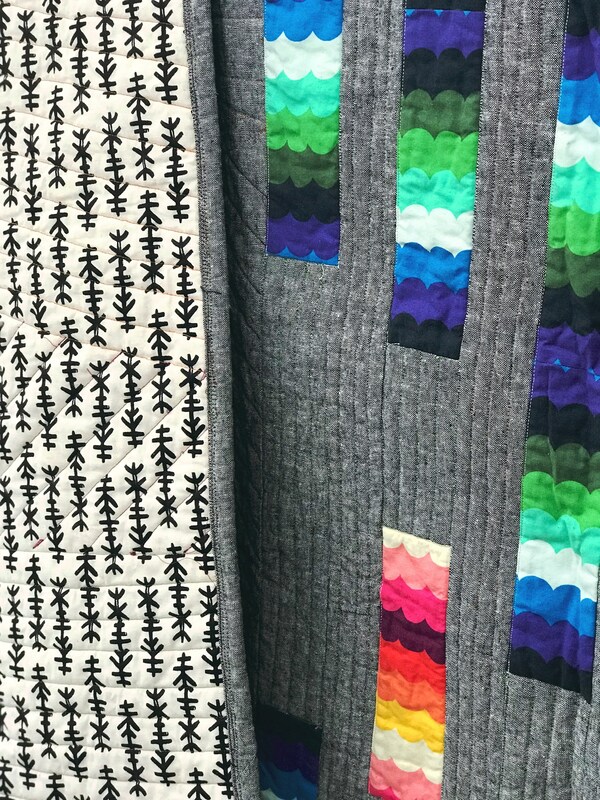 The back of the quilt is an abstract geometric in black and white. The quilting has been done with several different colors of thread, including purple, blue, and green. 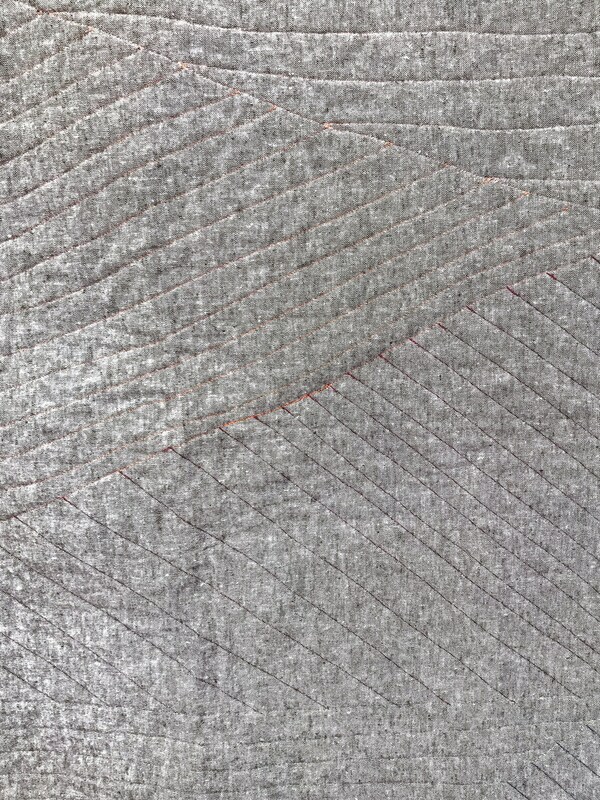 The binding around the outside of the quilt is the same gay linen/cotton blend. The quilt would make an excellent addition to your eclectic living room or modern nursery. It would also make a great wall hanging. 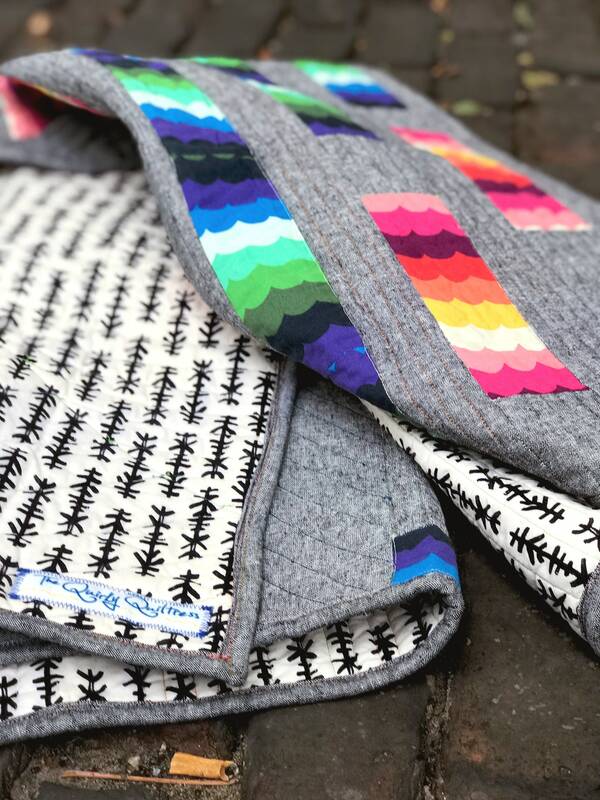 The quilt is made to order in baby/lap, throw, and twin sizes. 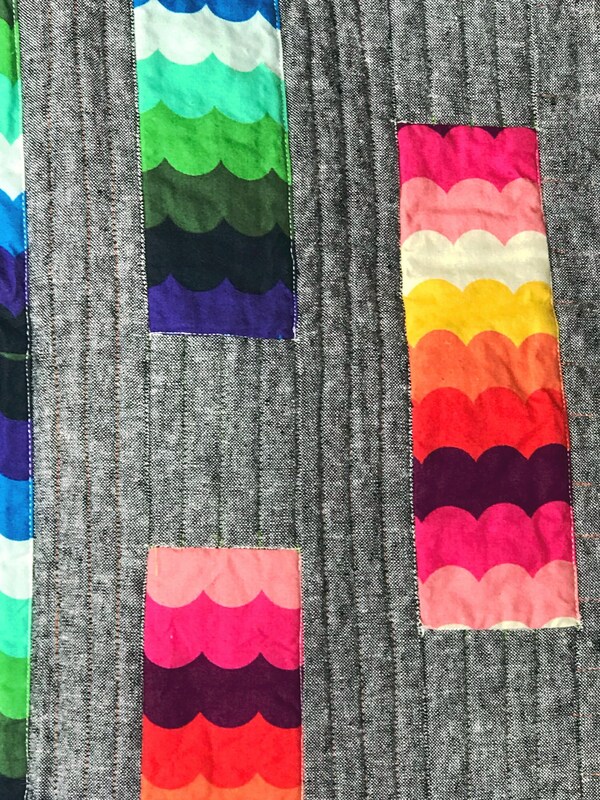 Because of the improvisational nature of the quilt, no two are exactly alike in terms of rainbow location and quilting.